Flor De Cana Clasico 5 Year Old Dark Rum is a popular Rum available from TheDrinkShop in 70cl to buy online. Visit TheDrinkShop for the best price for 70cl of Flor De Cana Clasico 5 Year Old Dark Rum or compare prices on our other Rum products. 5 year old rum, roasted amber, full body and silky smooth. It is enjoyed in traditional cocktails or mixed with soda. This rum is an excellent choice. Winner of 12 international medals. 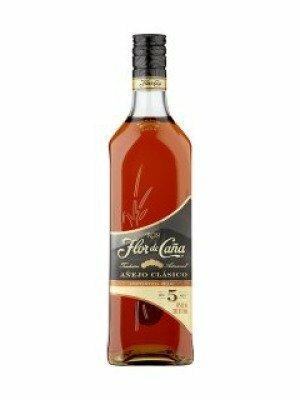 Where to buy Flor De Cana Clasico 5 Year Old Dark Rum ? Flor De Cana Clasico 5 Year Old Dark Rum Supermarkets & Stockists. You can buy Flor De Cana Clasico 5 Year Old Dark Rum online in most retailers and find it in the Rum aisle in supermarkets but we found the best deals online for Flor De Cana Clasico 5 Year Old Dark Rum in TheDrinkShop, Tesco Groceries, and others. Compare the current price of Flor De Cana Clasico 5 Year Old Dark Rum in 70cl size in the table of offers below. Simply click on the button to order Flor De Cana Clasico 5 Year Old Dark Rum online now. Prices displayed are representative and those quoted are supplied by retailers on Sunday 21st Apr 2019 at 06:03.